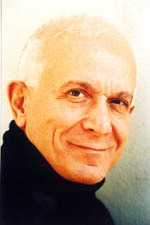 The Roland Petit’s choreographies, is part of the Athens Concert Hall tribute taking place this week. A group of leading international dance soloists will pay tribute to French master choreographer Roland Petit at the Athens Concert Hall this week. Lucia Lacarra, Wang Qinin, Svetlana Lunkina, Nikolai Tsiskaridze, Cyril Pierre, Luigi Bonino, Lienz Chang and Li Jun will interpret celebrated pieces choreographed by Petit throughout his distinguished career. Pieces from ballets include Georges Bizet’s “L’Arlesienne” and “Carmen,” Irving Berlin’s “Cheek to Cheek,” Maurice Jarre’s “Notre Dame de Paris,” Jules Massenet’s “Thais,” Leo Delibes’s “Coppelia,” Johann Sebastian Bach’s “Le Jeune Homme et la Mort” as well as Pink Floyd favorites provided with movement by Petit. Born in Villemomble near Paris in 1924, Petit trained at the Paris Opera Ballet school before becoming a choreographer and developing landmark works such as “Paradise Lost,” “Les Forains” and “Les amours de Frantz.” In 1954, Petit married Zizi Jeanmaire, a dancer, who became his muse for a number of works.